UPDATE: MARCH 19, 2019 — Castlecrag's newest Cantonese offering has just gotten even better. Canton Kitchen has launched a new bottomless yum cha offering, available every Friday, Saturday and Sunday lunch from 11am. For just $38 you can eat endless bowls of scallop and prawn shumai, pork xiao long bao, fried rice, chow mein and hot and numbing chicken wings (the list goes on). And for dessert (yes, that price includes dessert), you can eat as many yuzu custard buns and steamed Malay sponge cakes as you please. The sound of all that food making you a little thirsty? Pay an extra $27 ($65 in total) and you can drink unlimited wines, beers and soft drinks, too. The lower north shore has a new go-to for Asian eats thanks to former Queen Chow head chef Jason Chan, who opened Canton Kitchen earlier this month. The Cantonese restaurant joins Chinese barbecue joint Holy Duck! and Vietnamese eatery Bistro Mekong in Castlecrag's Quadrangle Shopping Village — all the result of a $25 million investment by Kensington Street developer Dr. Stanley Quek. Chan, who's also worked in the kitchen at Merivale's Papi Chulo and El Loco, is turning out a menu of traditional share plates using a variety of Aussie meats. Signature dishes include locally sourced duck served Peking-style with steamed pancakes ($26), sticky Mongolian lamb ribs with herb salad ($32) and a luxe take on mapo tofu made with lobster and Alaskan crab ($38). Vegetarian creations include the silken tofu with vegetarian XO sauce topped with soy bean floss and crispy wonton skins ($14). Chilli lovers will find much spice in the kung pao chicken — a dish hailing from China's Sichuan Province that's heavy on the Sichuan peppers — and the Singaporean-style chilli prawns with sambal. 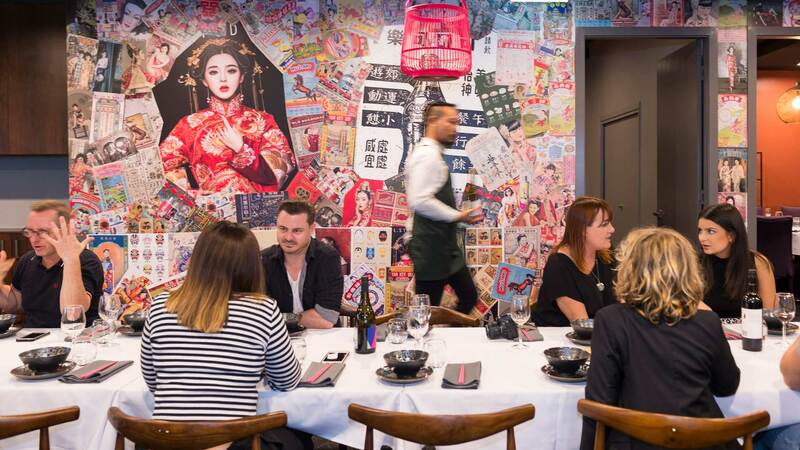 A range of fried rice dishes are up for grabs, too, including the 'typhoon shelter'-style Alaskan crab ($26) and the house special — with prawns, char siu barbecued pork, corn and mustard leaf ($18). If you're headed in with a group, there are two private rooms available, as well as ten-course banquet menus for tables of four or more.